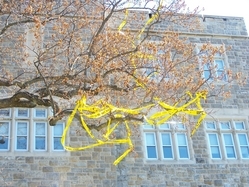 (April 20, 2007) Ribbon affixed to William Addison Caldwell statue. 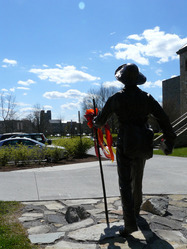 Caldwell was one of Virginia Tech&#39;s first students. 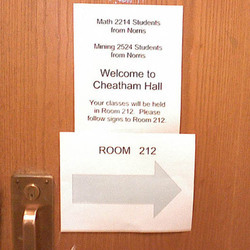 Looking toward Norris Hall. Items are laid outside of Norris Hall in remembrance.